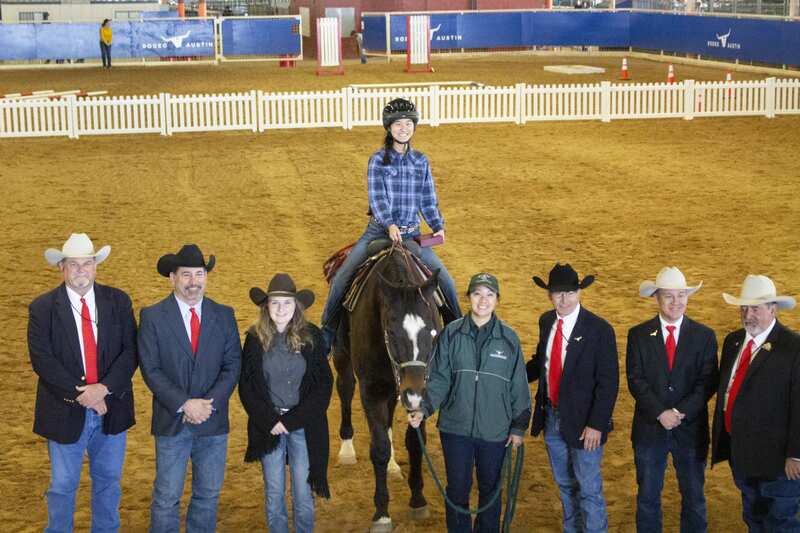 On Sunday, March 17, the Marbridge Longhorn Equestrian Team competed in the 10th Annual Rodeo Austin Gold Stirrup Horse Show. The 10th anniversary of the event was made even more memorable when Marbridge took home the Top Club award. The Top Club award is presented to the riding club displaying the best example of preparedness, good sportsmanship, club presentation, enthusiasm, and team spirit. Click the button below to see more photos from the 2019 Gold Stirrup Horse Show! The weekend following the Gold Stirrup Horse Show, Marbridge competed in a Special Olympics horse show in Taylor. Laura P., pictured below, rode as an independent rider for the first time. She competed assisted in her other competition but won gold medals in her first independent show. Congratulations to Laura, her horse Flash, and all of the other riders who all placed in the top six in every competition. The Marbridge Longhorns Equestrian Team is set to compete in one more show this season. If you want to show your support, come cheer us on! Marbridge Equine Program has accomplished great things over the last 11 years. Fiind out how you can keep them in the saddle and allow our entire campus to participate. See how your support of the new Creed Ford III Therapeutic Riding Ranch at Marbridge is going to change lives.